Is Hacking Good or Bad? Well Hack the TouchPad and Get A Prize. First Come, First Served! 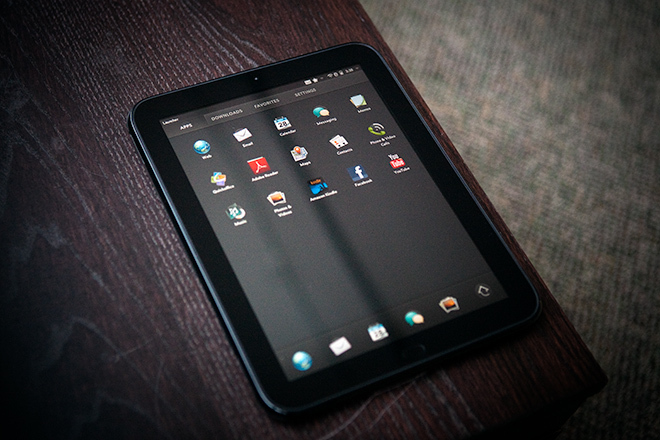 You’ve probably heard of HP’s TouchPad going on a really big cut deal from $500 to $100. After losing to the iPad 2, HP decided to give up on the TouchPad, but before that kick it out into the failure box, they’re going to make a price cut to make at least some people buy it for $100. The question is, if HP discontinues this TouchPad, can anyone do whatever they want to this TouchPad? I guess I would answer yes to that question. After HP had decided to discontinue the TouchPad, the prices dropped more than the stock market crash. That’s about a 20% discount that you get. More like 20% downfall for the TouchPad. While more people come to buy this low costing gadget, there are people who are out there thinking about hacking the TouchPad to get the Android OS. Lets see why. Recently, a hardware modification site had just announced that they were giving away $1,500 to the first person who can get the Android OS on the TouchPad. Remember, first comes, first served. Hacknmod.com had recently made news that anyone that had first hacked their own TouchPad to run on any thing based on Android, then that they would receive $1,500. I still have a feeling that something bad is going to happen to someone that hacks the TouchPad, kind of like geohot, the famous iOS device hacker. Hacknmod.com is setting out prizes for who does which type of hacking and what they will receive. If you hack the system and get the Wi-Fi, camera, multitouch screen, and audio, your just going to get another $1,050 to the bag. While the whole Android modding groups are already up on their computer screens, scrunching up their eyes towards the computer screen and getting their best shot in hacking this device at all costs. This isn’t really the first challenge that Android modders have gotten in years. They have had Android up and running on the Nook, the iPhone, and even certain Nokia smartphones. The Rootzwiki website is already up and ready for this and they are picking out some really smart people to use for their team called the TouchDroid. If you want to try, check out their website: http://rootzwiki.com/showthread.php?t=3327. These guys already like, have an entire pack for the job. There main man: Thomas Sohmers. This guy is a 15 year old hacker who has gotten Ubuntu on the Xoom and has been the first guy to ever hack into the Google TV. I probably bet that this guy is going to do the job, short and simple. Their official website: http://www.touch-droid.com/. Now HP, has a few things to look out for. People using Android instead of their OS, will just get them mad. After all Android is an open source software that actually allows people to contribute and use the Android to hack. I mean hackers hack because they can. If they have the power to do so, they will, and this world can be full of these type of people. Even I’m kind of a hacker, but not one that’s too into to it. We just now wait and see. Tiny Pocketbots Are Not Your Children’s Toy! When our US military ever came up with the idea of having robots to do all the dangerous stuff, we took it seriously. Maybe way to serious. We had huge robots that messed up and when it flipped over. MISSION ABORTED. The main problem: the weight. You really won’t want to carry around a 50 pound robot and tossing it through windows and running away to get set up for the robot mission. I mean, come on man! That’s just a burden that you carry (literally) on your back. The US military has finally developed something new. The new Pocketbots or called the iRobot 110. This new robot is just a start in the advances of our military and in the advances of technology. Don’t worry this robot doesn’t shoot you down with missiles and have huge alarms. This is just short and sweet. This is a robot that has great grip, can go on hard terrain and pass through all sorts of obstacles. If it falls upside down, it just pushes itself back up. Here we go. Ready for this? The army has planned to use 3,500 to 5,000 of these “toys” for use in battlefields and other rough and tough missions that have great danger towards human lives. How? he basic principle is to use this little robot to be tossed into a building and search through it before a soldier breaks through the door and watches out for any treacherous people or things. Precautions will also be shown with the camera on the micro machine. If theses work perfectly, the US army could have a perfect place for this little bugger. This little machine is planned to be equipped with ever soldier so they can take an extra precautionary to know what’s coming for them when we bring out the bring guns at the battlefield. The video on top explains about this pocketbot and some examples in what situation this is used in. Remember kids, this isn’t a simple remote controlled car you can use to play around. This is something that you probably don’t want to use. If you want it, then get a LEGO Mindstorm for it. This isn’t your everyday day children’s toy. What’s What? Social Networking For Kids! Have you ever had a problem with kids using Facebook and you think that it may not be for their age? That’s the worlds number one problem for people steal information from kids on Facebook. May be a big problem for them, but there is a solution ready for you. What’s What beta, is a website where kids have their own social networking website. This is a website that basically allows no adults. If you think you can hack in , you’re wrong! What’s What beta, has face recognition software for you to login, so you may know the password, but your still not going to get in buddy. Don’t worry parents, this is not only for kids, but it also has a parental monitoring system for your kids, and all friends requests have to be approved by the parent! If you still can’t get a facebook, What’s What beta, is the perfect social networking site for all kids and only kids! What’s What beta makes sure that you give them a photo of you and then you use your webcam to show your face and get facial recognition to let you sign in into your account. It’s has the exact same features as Facebook, but the only thing that is restricted is adults and your explicit language. What’s What beta, is safe and secure and no information can get leaked out. No adults are even allowed to use this program as facial recognition technology comes into place once again. You have your backgrounds for your wall and you’re the one who decides who can be your friends and your the one who can decide to write stuff on your wall. You can play games and gain points for yourself and compare with people all over the world. Don’t worry everything is private in this website. You won’t be asked for permission to give information to play games at all. You just play them, get high scores, and you get ranked with the world. Watch out Facebook because your going to have a pretty tough competition with this website and many more who are coming to compete! ATM Pins Are Read with Thermal-Imaging Cameras! You might want to make sure that there aren’t any cameras behind you looking at your ATM pin or doing anything else. You’ll probably also make sure that no one can see you type your pin, but you probably never wondered what would happen after you left and someone used their thermal camera to figure out your pin (most of the time). It’s official. Security experts have confirmed that newer ATM thefts happen when thieves use thermal cameras to figure out someone’s ATM pin. How? Well, on most ATM’s, the keypads are usually made of plastic pads. As you know metal keypads are immune to this problem because they don’t store heat, but plastic pads store heat so well that you can even tell the order the pin was typed in! Even the reading of the numbers can be figured out with many computer programs! While this can be a problem to many people. I just suggest to stay out of this problem, use ATM’s with metal pads to keep your self safe from any sort of hacking. Hacking with ATM’s have been much more easier as people improve technology with software and as ATM’s stay the same. Want to prevent all this hacking? I suggest we should rest our fingers on the other keys just to be safe. If you’ve ever though about it, what are the odds of getting your pin hacked? Pretty high when 4 digits are found. But how many pins are there to test? This can put up a suspicion to all banks if they find out a person trying to type in a pin 16 times. Eventually they won’t allow you to try anymore, but what if the person will get it on the first attempt? It can always happen, so that’s why, just try to place your fingers on ever key. The Next Mission: NASA plans a mission for an Alien Sea! During the year 2006, NASA’s Cassini was flying past Saturn’s moon, Titan. It had observed that the moon had seas of liquid of liquid ethane and methane on the moon’s -300 F surface. This is another step closer to outer space life. Some of these oily seas though, seemed to be bigger than Lake Superior, according to Cassini’s radar because the visibility was poor due to the thick atmosphere of Titan. Want to know more? NASA is knowing planning a probe that will go and land on Titan’s so called ‘seas’ and act like a boat to float on the liquid methane and receive information on this moon. The probe to make history is called, the Titan Mare Explorer (TiME). This would be humankind first ever extraterrestrial mission ever! On May, NASA funded a contract of $3 million dollars for development of the project. If the space agency gives a go ahead sign then TiME will launch on 2016 and float, and float until 2013 when it’s 800 million miles away from Titan’s north pole region where most liquid methane seas and lakes are the biggest. Once TiME reaches the liquid ethane sea then, it will begin to take photos, analyze the weather, how deep the seas are, and analyze samples of the chemical structure of the seas. At the end of the project, then TiME will just wonder off on the sea and keep on floating until it reaches the other side of Saturn’s orbit where it is dark with no sunlight and radio communication will be cut (2035). Methane clouds always fog up the glum Titan’s sky, and scientists believe that hydrocarbon raindrops are the reason why the sea’s have been replenished and how the landscape had been sculpted. We still believe that there won’t really be any life on the moon, Titan because, water is the main ingredient to life. If there’s no water, we believe there won’t be any real life structure. This is what we believe so far, but we never know if there really is any life with liquid ethane so this is the basic reason why the mission is being executed, to solve all these questions. After 7 years of travelling through the black hollowness of space, including many bumps with gravity pulls in many planets, TiME will finally make it into the thick, foggy atmosphere of Titan, being protected from friction with it’s heat shield. After getting into the atmosphere for about 100 miles then, the parachute will be deployed. During the 2 hour drop, TiME will be taking photo’s recording data, and using it’s spectrometer to analyze the chemicals of the seas. After the drop into the ethane and methane sea, the capsule will bob up and record all sorts of information of take samples to analyze the chemical structure. NASA can only fully fund one out of 3 space projects that are coming up: a Mars mission to research how the planet was formed, a comet hopper that will repeatedly land on a comet that is close to Earth, or a capsule that will record data on Saturn’s moon, Titan (this TiME project). Now which one will they choose? They’ve done it again. Yeah it’s the same. It’s Google. They’ve done it. Google’s new Chromebook that was released on June 15,2011. Google, which already has many products running all on the web, now have their own operating system that runs and lives on the internet. Yeah, it’s true. Google believes that people use the internet on the computers the most. Would you believe this or not? The Chromebook is a computer for the people who only use the internet on their computers. You might have to write some documents or something that involves in Microsoft Office software. Google has that all covered. If you have a Google account then you can basically use that for your needs of documentation or presentation with Google documents. So it’s pretty useful I guess. Features: The Google Chromebook has a quite of lot of features that all run on the internet. Unlike other computers, the Chromebook only takes 8 seconds and you’ll be on the web. That’s because the Chromebook doesn’t have to run on any BIOS to get that started and booted. It’s just a browser that opens up and asks for you to sign up to you Google account and you’re up and running. On regular computers you have to run many things before you get to the desktop and in which getting the desktop running takes a little while. While on the Chromebook you just take 8 seconds to boot the browser and get it up and running. Don’t worry you’ll always be connected no matter where you are. With the Chromebook, you can basically take it anywhere you want to and still be connected to the internet. The Chromebook has both Wi-Fi and 3G connections with Verizon Wireless. Just don’t to do enthusiastic about the 3G because it may not be as fast as you wish it to be. Remember there’s the Wi-Fi model and 3G model so you’ll get 100 MB free from Verizon 3G every month. Battery supply has a great amount and can last long for many days. The Chromebook has your online storage all on the cloud (But I wonder where that cloud is!). So, if you lose your laptop and get another one, you’ll work will be right there just as you left it. Another one of the features are that you can allow friends and family access their accounts through your Chromebook without doing anything to your account. There’s is also a Guest feature for people who don’t have a Google account and just want to use the internet. The Chromebook is always fresh. It updates itself everyday with security, OS, and many other things without even bothering you with those annoying pop-ups saying update ready. Security isn’t a problem with the Chromebook at all. Updates keep the computer fresh from viruses and malware. The sandbox environment also keeps away the viruses from your computer. So when you have 2 things your working on, each one is protected by the sandbox, so if you ever get a tab that has viruses then that page may crash, but it won’t affect anything else on the computer or on the 2 things you were working on. The guest mode also helps keep people from accessing your account and work. The verified boot will detect anything wrong when booting the Chromebook. If there’s anything wrong, then the computer will recover it self and you can go on doing your work. Data encryption will safely store your work and web apps and other memory in the cloud away from anyone’s access at all. So the Chromebook seems pretty useful, but it just may not be the best computer for the people who are more into computers with programming, creating software, and working with web development. So if you’re a main web user I think you have a great reccomendation: The Chromebook. Exclusive: Sun, Mercury, Venus, Earth, Mars, and now Jupiter. It’s the new Juno probe. The next space mission to Jupiter. There was once the biggest project that NASA funded to get more information on Pluto. That’s old school. We are now looking at something else bigger. I mean literally it’s bigger in size and it’s bigger in Science. Here’s the biggest challenge though. How to build a probe that can withstand one planet’s greatest threats. The Juno probe is the next step in science and engineering. The Atlas V rocket carrying Juno was launched on August 5th, 2011 and is now looking forward in meeting our our friend, Jupiter. The mission has already been launched at Kennedy Space Center, and all the NASA officials are scrunching their eyes towards large computer screens showing a plethora of information, 24/7. Recording information on paper, phones, or anything that they appear to have in hand. Watching and watching every single day for a small sight of Jupiter. Carefully engineered by NASA scientists. The Juno spacecraft was a project that had a budget of $1.1 billion. With careful scientist, resources were used properly and had a bill of $700 million. The Juno spacecraft was named after the Roman god Jupiter’s wife, so you can see the big connection. This space probe was launched with the Atlas V rocket that was designed in a special way to withstand the harsh radiation out in space. The probe is around 4,000 kg, including all the equipment that was added on top of the probe. Now on the specifications on the project: The Juno probe is expected to reach into Jupiter’s orbit around July 4th, 2016, and in the beginning stages of the transport it will run on kerosene and liquid oxygen to give it some boosts. After that Juno will have to run on solar panels to get the lithium ion batteries charged for the big project. I guess that day we’ll have 2 celebrations, Independence Day and Jupiter Day. A wait that will take 4 years really isn’t that long compared to our Pluto project that will reach Pluto in 2015. After Juno reaches the orbit, Juno will have to stay at least 2,672 miles away from Jupiter to prevent being sucked in by it’s gravity immediately. Juno and the Atlas V rocket will have to stay in the outer orbit. 33 orbits around Jupiter and we just pray that the probe won’t be pulled in completely into Jupiter’s orbit and be crushed like a pancake. 1 more year of orbit. Why? Well each one of the orbits take 11 days. So, you can do the math. 33 x 11 = 363. That’s more than a year. The project is planned to conclude on October 2017 and the probe is planned to be sucked into the orbit of Jupiter and be destroyed or eliminated if you don’t want to say it that harsh. The Juno probe has basic goals and some of them are to observe Jupiter’s gravity field, magnetic field , and polar magnetosphere. Juno will also be looking at the physical features of the planet and is ready to get information in which if Jupiter has a rocky core and see how fast and other information on Jupiter’s wind. The increasing wind speeds and severe hurricanes of Jupiter make it interesting to know more on it and Juno has instruments to record that information too. Juno and the NASA scientists will be keeping a eye on Jupiter for any signs of water at all. Though one of Jupiter’s moons, Europa has evidence of having salt water, which is a step closer to evidence of extra-terrestrial life. After all these objectives that Juno has to complete, it will begin to get more into Jupiter’s orbit and then eventually get sucked into it’s orbit, and you know the basic process, it gets crushed like a pancake, again. Atlas V, the rocket carrying Juno will make history as it approaches Jupiter which is just a next step in the mysteries and unknown of the deep, dark abyss of the space that is unknown. Fun Fact: On board on Juno, there’s 3 LEGO mini figures that are taped to the probe to represent Galileo, Jupiter, and his wife Juno. These LEGO pieces were made out of aluminum to prevent radiation damage and the survive the outer space. There is also a plaque that gives dedication to Galileo on his discovery of the planet Jupiter. These 2 facts are pretty cool. MW3: Modern Warfare 3! AR3 YOU R3ADY? Call of Duty: Modern Warfare 3’s recent poster for the promotion of the game. The biggest Call of Duty franchise has once again done it. It’s new hit sequel to it’s blockbuster Modern Warfare 2, Modern Warefare 3, will be the next big thing for all gamers. I’m predicting that this will probably become the greatest game to make a record to beat Call of Duty: Black Ops. Modern Warfare 3 is now ready for all sorts of action packed fun and everyone is ready for it. As said later last week, Activision and Infinity Ward sent out news for pre-orders for the new games. Within the next day already half the country had pre-ordered the game. That was fast. Not much people are ready to pre-order the game until the game really comes out on November 8th, 2011, and when reviews are to be released for the game. Everyone is just waiting and waiting until the game finally comes out. This isn’t the best part of just the game. Activision had taken it another step. Check out Call of Duty: Elite. An online game service to check maps, guns , and everything else. Right know it’s in the beta testing mode so don’t get too excited about it. You can currently go and check this out at http://www.callofduty.com/elite. It is a really cool beta and has some really great features along with the game too. MW3 is also coming with some more action packed features to feed off of Modern Warfare 2. Here you’re in the situation of a the same person from MW2 (forgot his name), but here you’re in the situation of a big war where USA is involved of being bombed in some of it’s cities. Germany, France, and England are in the stage of war. That’s pretty much all the teasers and trailers tell us. There’s nothing else we know from this game. Get ready guys for a ride that will take you into some deep, deep, addicting gaming for probably the rest of your year. The website will be under the control of another author during the summer due to some problems with my computer etc. I will get that all fixed and then it will be possible for me to come back and take over the website. Thanks! Sony has recently planned to open the PlayStation Store today. They have said to have opened it, yet I have not checked whether they really have done it. PlayStation Network was down since April 20th due to recent security breaches into it’s major PSN network. They had shut down all systems of the PSN and had opened the online gameplay but the store hadn’t opened yet. They had gave news out that it would be open by today. I don’t know so I can’t tell you for sure that it will be open. Sony had lost about $171 million dollars in the security breach and is currently recovering from it. They had reassured that all the systems would be back up and just working fine. After the breach and when they opened up part of it’s online gaming services, Sony had promised that once they had fixed the store that they would give 30 free days of PlayStation Plus access and would allow you to select 2 games for free from this list of games: LittleBigPlanet, Wipeout HD, Ratchet and Clank: Quest for Booty, and Dead Nation. You can select only 2 and remember that. All the other games that were planned to release on the weeks of the outage will now be postponed to a different day where then the games will be released accordingly. Will you still use PSN even after so many days of outage? Web browsers are designed for users to basically use the internet in style, with customization and many other features that you think would suit you. Now days we mostly use our web browsers more than anything else on our computer. A web browser would probably be used at least every day. Trust me, you will feel internet sick if you don’t/not allowed to use use the internet. I have created a list of the top 5 web browsers that I think are very interesting and are things that I use everyday. (These are not facts, but only opinions. 3. Opera: Opera is a good browser. It’s not the best yet it’s not the worst ,but there’s no other browser like Opera which is fast. Opera has great features and has supported internet in the Wii and many other game consoles. The code behind it makes it more available to other type of operating systems. It has also been available to many portable handheld devices including the iPhone which usually uses Safari. It’s open to the community with development, feedback, and great support. It deserves a spot for the top 3.